From all of us at Waterpik International, Inc., we'd like to wish you a very Happy Holiday Season and a safe and successful New Year! With festive decorations going up, presents being wrapped and parties in full swing, the holiday season is certainly now upon us. As your patients get into the festive spirit, it's important they don't forget about their oral health! Between the wine, cranberry sauce, gingerbread and mince pies, it's no wonder we consume sugar in larger quantities and more often than normal over the festive season. Remind patients to drink water between snacks and fizzy or alcoholic drinks to help their teeth recover! Most routines are understandably broken over the holidays, but patients should be encouraged not to snub their oral health completely. 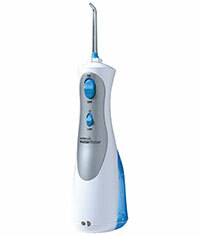 Brushing and water flossing are possibly even more important than normal at thus time of year! We might all be guilty of opening a bottle or a packet of crisps with our teeth at some point, but we know it's not a good idea and your patients should be warned as well. The BSDHT's Oral Health Conference and Exhibition last month was another great event, with delegates flocking in from all over the UK. 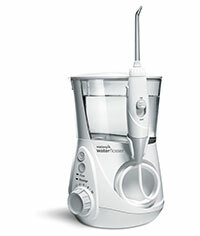 Waterpik International, Inc. was on hand to demonstrate our latest clinically proven solutions including the Waterpik® Cordless Freedom and Waterpik® Cordless Express, which are battery operated and therefore the ideal travelling companions. "This competition is all about recognising the invaluable contribution that both dental hygienists and those dually qualified in dental hygiene and therapy make in the world of dental research. I hope this competition, now and long into the future, will continue to our profession to become active in exploring aspects of their work or related areas. "From myself and on behalf of the BSDHT, we are tremendously thankful for the generosity and support that we have once again received from Waterpik International, Inc. donating some brilliant prizes and enabling us to achieve this." 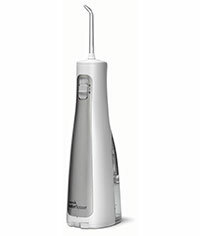 Whether for you or a friend, the Waterpik® Water Flosser is the perfect gift this holiday season. Show someone you care at a fraction of the price! Just call 033 31235677 to order your gift, limited offer 1 product per person per address.